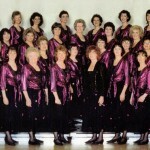 Surrey Harmony is one of the UK’s longest established choruses belonging to Sweet Adelines International. We have been at the forefront of the development of women’s barbershop in this country for more than a quarter of a century. Some of our members have sung with the Chorus for many years – enjoying the camaraderie and friendship that belonging to a close-knit and fun group can bring. Like a family, we enjoy good times together, and love and support each other in difficult times. 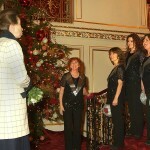 Surrey Harmony was founded by Jenny Lawson in 1990. Just four years later the Chorus won its first gold medal at the UK Regional Championships for Sweet Adelines International. Since then the Chorus has won gold on four other occasions and collected a handful of other medals along the way. 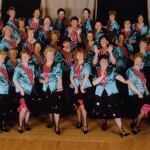 Surrey Harmony has represented Region 31 at the SAI International Contests a total of seven times – in New Orleans in 1995, Nashville in 1998, Portland in 2001, Phoenix in 2003, Las Vegas in 2006, Nashville in 2009 and Houston in 2011. Our highest placement was in Nashville in 2009 when we came 15th with a total of 645 points. We see competition as one way to measure our improvement, as well as giving us a goal on which to focus. So over the years we have taken part in the “Choir of the Year” competition on three occasions, twice reaching the semi-finals. We’ve also enjoyed success at various festivals, and plan to do more of this in the future. But it’s not all about competition. 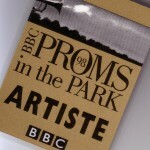 We’ve performed for Royalty, at the Barbican and Proms in the Park. But you can often find us performing in church halls, shopping centres and at private functions. We have a proud tradition of helping to raise money for a number of charities. Give us an opportunity and we’ll sing just about anywhere! Our founding Master Director Jenny Lawson retired in 2013 and in 2017 Sweet Adelines International honoured her with a prestigious award. Known as the Ann Gooch award, it recognises women who have helped to develop and grow women’s barbershop outside the United States. Surrey Harmony is proud to have a played a pivotal role in the expansion of Sweet Adelines in the UK. We love nothing more than sharing our love of singing with our Sweet Adelines friends in this country and elsewhere. We hope to continue that for many years to come.